Approximately .76 acres, edge of town - TWO HOMES FOR THE PRICE OF ONE! One home is a 2 bedroom remodel, Wood flooring, new windows, has both heat and air conditioner units, includes the appliances - gas cook stove, a very comfortable home, County Assessor says 930 SQ FT. The second dwelling is a one bedroom, single bath, all electric, new carpet, appliances included with this one as well. Both units are neat and clean. There is also a nice workshop/storage area, plus a little fenced in chicken yard (chickens negotiable). 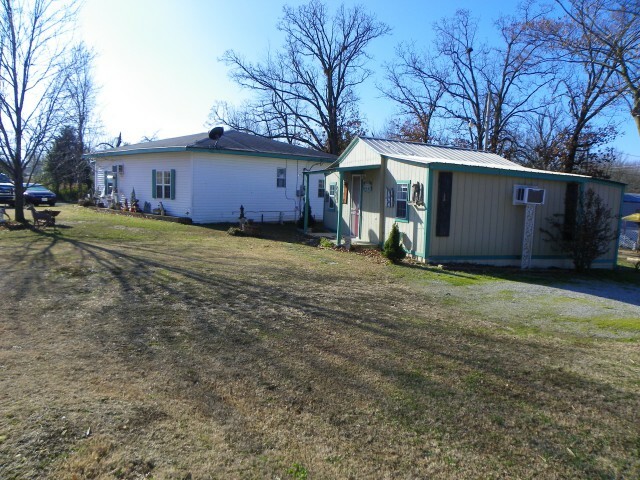 Located on the edge of Green Forest city limits on 103 N. High visibility with highway frontage. Great price ASKING $89,000 FOR EVERYTHING!